IronPRO Deironiser and Wheel Cleaner - a brilliant wheel cleaner with the additional property of turning brake dust red as it dissolves. Incredibly effective yet pH neutral and safe on all wheels. Frost-o-Holic Concentrated De-Icer - no water de-icer, made from alcohol blends so won't re-freeze. 500ml. Signature Nano Wheel Sealant - superb hi-tech spray-on Nano and wax wheel coat lasts 3+ months protecting all wheels from brake dust pitting and easing washing. Super economical in use, great low price for this kind of product. Signature AquaGlide AutoWash - super concentrated absolute premium car soap, a real alternative to top end imported brands. Signature Tar & Glue Remover - loved by AutoExpress, EVO, Octane - super effective solvents easily remove old decals and baked on tar, distinctive metal bottle keeps the power safe. 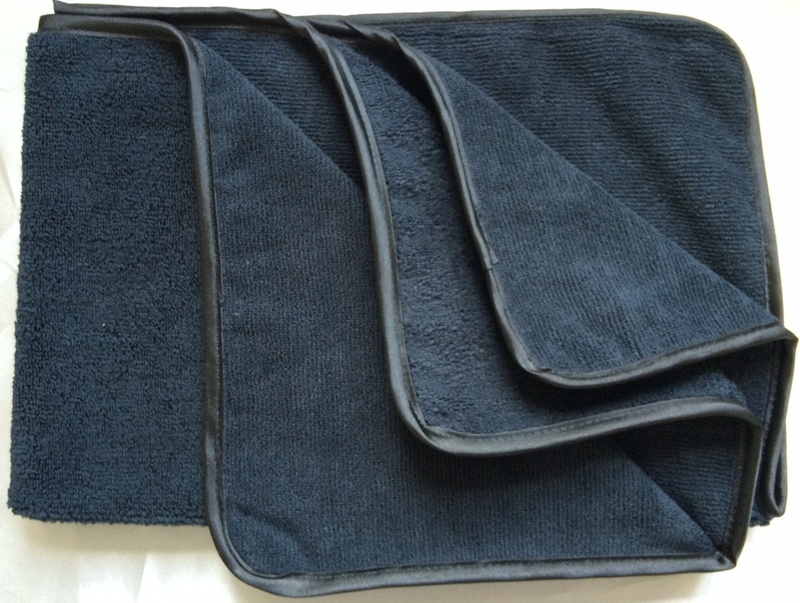 NEW Black Microfibre Detailing Cloth - Deep pile, plush, satin edged microfibre polishing cloth, 60cm x 40cm size. Everything you could ever ask for from a top quality cloth. Simple spray on clear fabric protector for interior surfaces such as Alcantara. 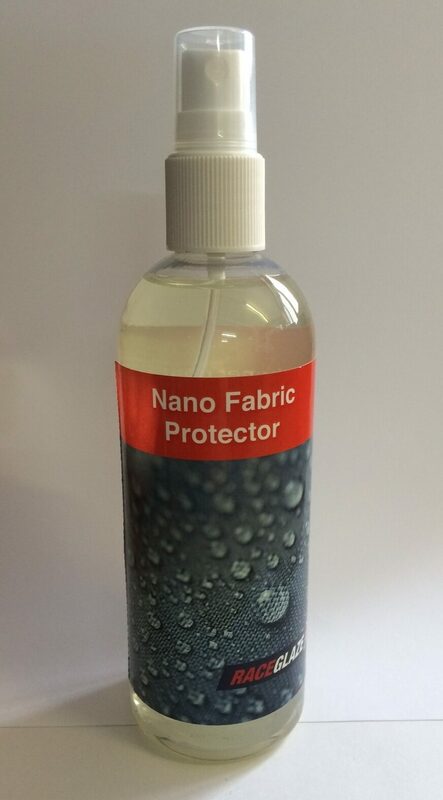 Hi-tech nano wwater based spray repelas dirt and water, lasts for many months as bonds to the fabric substrate. All items listed are in stock in numbers for immediate despatch except Shampoo Wash Pad & Folding Bucket (discontinued). Unique shampoo with added natural Brazilian Carnauba wax. Salt free, neutral Ph, biodegradable, leave a lasting shine every time you wash, topping up the Carnauba wax on your car. One of our star products - will not strip wax off. Removes anything stuck to your car - overspray, road and airborne salts, rail/brake dust, tar, grease, tree sap, insect and bird droppings. A revelation, loved by serious detailers. Simply spray on the lubricant for a smooth surface. Enough for 4-6 cars. 2 x 60g yellow poly clay bars in snap top box, without Lubricant. Sufficient for about 4-6 average cars. Perfectly safe for anyone, identical to top price imported Swiss clay. Natural Carnauba wax polish - no watery/chalky marks, dust or marks on black trim. Fills in swirls with a gentle liquid cleaning formula and gives a fantastic deep shine. Easy to use - wipe on, buff off. Best Race Glaze selling product. Carnauba wax rich spray-on liquid detailer. Cleans and waxes to enhance showroom shine and add protection between waxing applications. An easy spray-on wipe-off application for fast touch up on all painted surfaces. Leaves no white residue around badges. Natural sheepskin (both sides) wash mitt, with thumb, elasticated wrist and hanging loop, its deep pile takes dirt away from the surface, preventing the scratches and swirls so easily generated by sponges. Essential kit. Impressive rugged, flexible and substantial washer nozzle jet attachments. Each has 9 (nine!) different spray patterns allowing the correct spray for different parts of your car when washing wheels, engine bays and bodywork. Attach to hose. Possibly the finest, most lubricious concentrated car detergent on the market. Makes your mitt glide over paintwork, gently and effectively cleansing with a ph neutral, salt and phosphate-free formula. High suds, wax safe. Top rated by AutoExpress, EVO and Octane with clinging, premium solvents to dissolve tar spots & decal glue from bodywork and wheels. Aluminium bottle is necessary – more effective solvents than bulk brands. Made from the finest deep pile Australian sheepskin, this is the Rolls Royce of wash mitts, made from extra deep pile, luxurious soft fleece. Super large size, a best seller worldwide. Made from the finest deep pile Australian sheepskin, this is the Rolls Royce of washing mitts, a totally natural product which will last for years. Its luxurious soft, deep pile makes swirls-free washing much easier as ultra deep pile removes dirt from the surface.